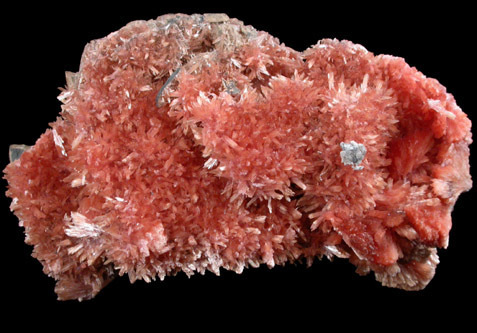 Description: Elongated cluster of translucent red-pink inesite crystals completely coating one face of matrix. 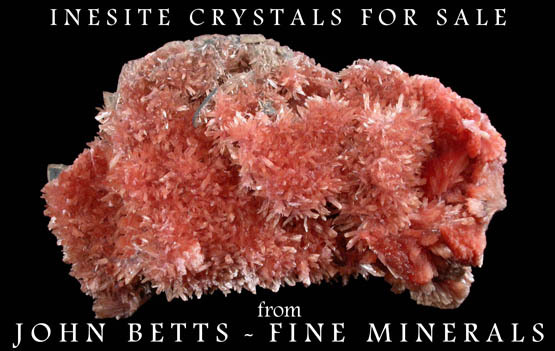 The inesite crystals are translucent, elongated scalenohedral form. 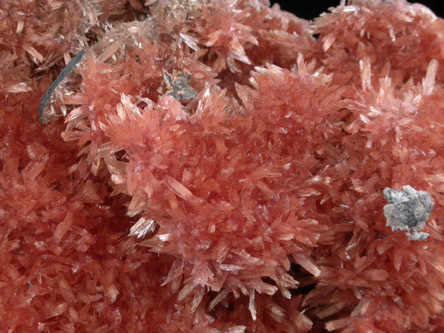 A small rosette of gray calcite is overgrown in one area.